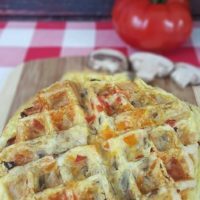 Flaky delicious crescent crust with a garden omelette baked on top creating this amazing Breakfast Sandwich Waffle. Super easy to make and can be catered to your taste. Breakfast is one of my kids favorite meals. We especially love breakfast for dinner. 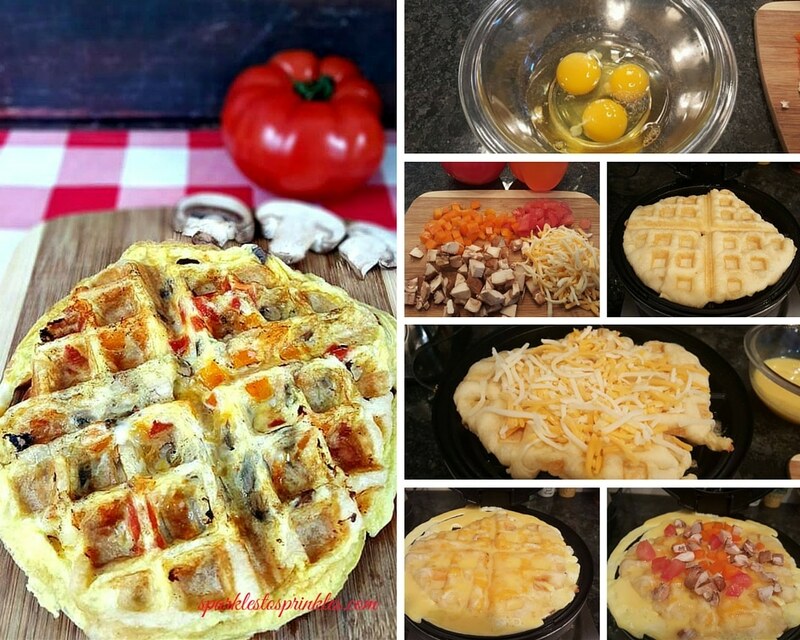 This delicious breakfast sandwich waffle is a great candidate for breakfast, lunch or dinner. 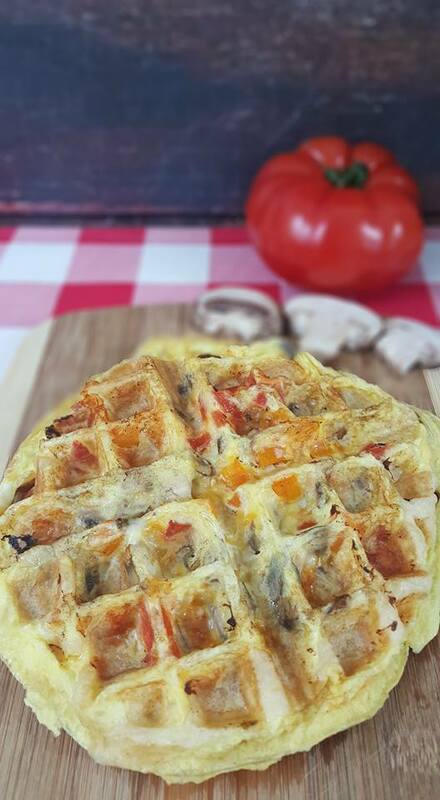 It is really delicious and so easy to make. You can set up a little waffle bar and have your kids join in the fun adding their own ingredients on top. No one will be complaining that they don’t like their custom made breakfast sandwich waffle. Take these opportunities to load up on veggies as well. There are certain times you can get your kids to eat lots of veggies and this is definitely one of those times, the colors alone make the waffle so much prettier. Scramble eggs to your liking. Can also be egg whites. Place 3 pieces or crescent roll on your warmed waffle maker. Having some space in between is fine since they are going to puff up a little. You will need to tear off some of each piece to make them fit well. Close lid for 15-30 seconds and just lightly start cooking the crescent rolls. Put shredded cheese on top. Spoon scrambled eggs on top. Put your vegetable on top. Close lid and cook for 1-2 minutes until cook all the way.